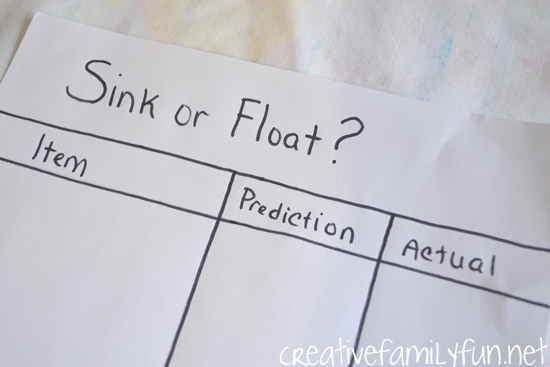 You are here: Home / Learning Activities / STEAM / Sink or Float? Summer is in full swing around here, but that doesn’t mean we’ve shut off our brains. We’ve got plenty of outdoor play, plenty of free play, and plenty of reading. But, we’re also planning plenty of fun (emphasis on fun) learning activities. 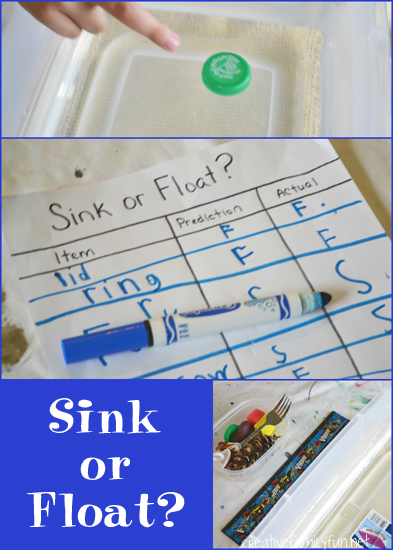 This easy sink or float experiment helped us brush up on our science skills and also added some real-life writing practice. I set the stage with a large tub of water. This plastic container was perfect. I also went around the house and found several things that we could test. 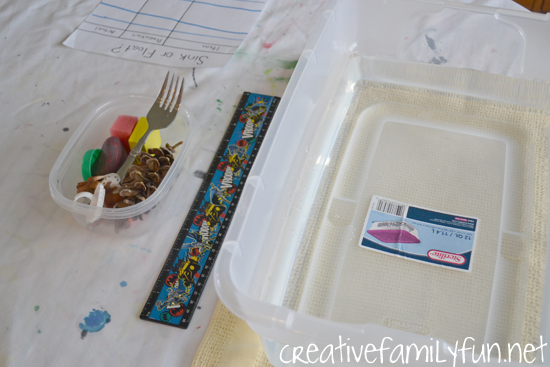 Go through your junk drawer or art supplies for some fun ideas. Just make sure the water won’t hurt it. I found a plastic ruler, a fork, piece of sponge, plastic ring, bottle cap, rock, pine cone, nickel, and foam block. Try to find a good selection of both floating or sinking items. Before beginning our experiment, we made a simple chart. We had a columns for our items, our predictions, and the actual outcome. The girls took turns choosing one item at a time. They would pick an item, write down the name, and make their prediction. Then, it was time to see the actual results. It turned out that our prediction skills were spot on. And, it wasn’t just lucky guesses, the girls could explain why they chose sink or float. 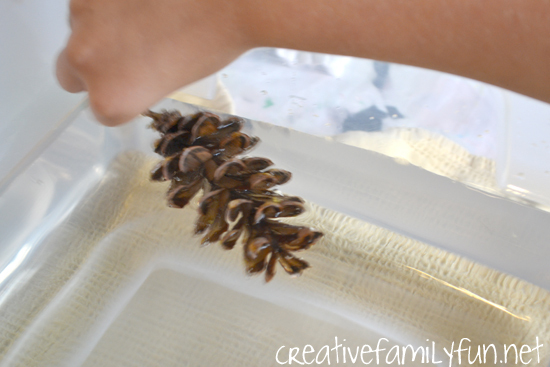 This is an easy science project and it may be one that your child has already done in school. (My oldest daughter did.) But, it’s a good one for practicing those observation and prediction skills that are so important for young scientists. Adding the chart element also gave us a chance to practice our writing, a skill that needs to be second nature. 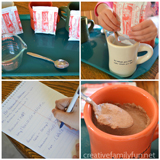 Adapt this for younger children: This project can also be done with pre-writers. Set the invitation the same way, but skip the chart. You can keep the chart for them if you want that element. Otherwise, just choose one item, make a prediction, and then find your results. 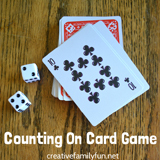 It’s a great way to introduce prediction to your younger kids. Have you ever done this experiment? 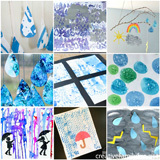 Are you looking for fun science ideas for preschoolers? 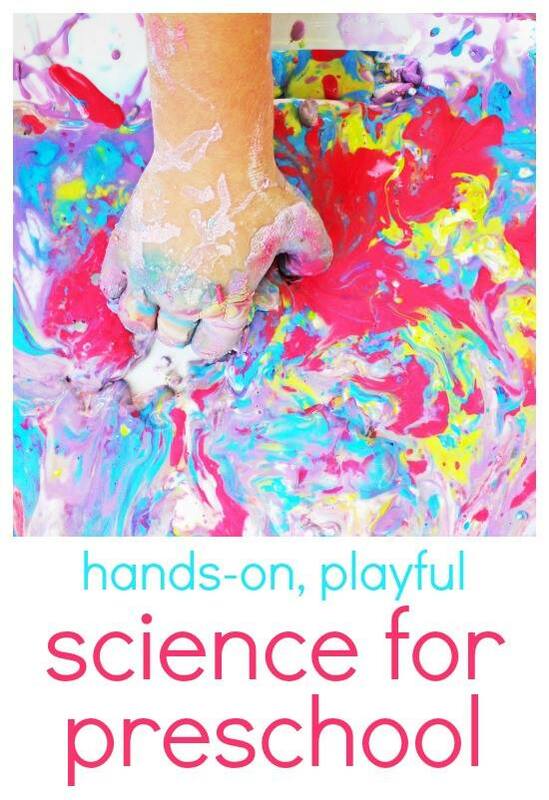 Check out Three to Five: Playful Preschool for science ideas and more. 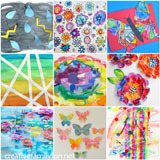 Click here for purchasing information.